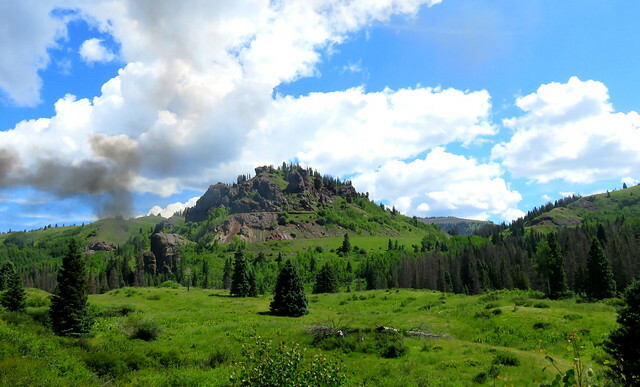 This is the third in a series of posts about our July 2015 vacation out west. Wendy is composing these posts while I handle the photos and maps. Enjoy! After the tough hike at Ghost Ranch, it was nice to arrive in Pagosa Springs, Colorado. The town is known for its hot springs, but to me, it will always remind me of fresh air, hot air balloons, train rides, and great coffee. Pagosa Springs is a perfect place to relax. We stayed at the same hotel we stayed at on our first big trip together in the summer of 2013. Back then, after staying in a cramped room at a Best Western in Durango, the spacious double queen room at the Pagosa Springs Inn and Suites was such a welcome sight. Granger always stays there when he visits town, and Chester, the owner, remembered him. That first morning I woke to the smell of Higher Grounds coffee and Granger’s smiling face. He had walked over to the nearby coffee shop and picked up some coffee, scones, and the lemon bars that he loves so much. Just like two years ago, he set up the ironing board as our makeshift breakfast table. After breakfast, I took a catnap, since my legs were still sore from the hike at Ghost Ranch. 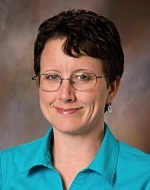 In the meantime, Granger worked on more school business relating to the grant and updating the school website. For lunch we ate at another favorite, DSP Pizzeria. Later, we got around town to check out some of the local places, what I like to call “hippie shops.” We went to one called The Choke Cherry Tree, where we bought some cinnamon honey (from the Pacific Northwest, no less), orange blossom candy, and some truffles. We visited various “hipster” bakeries and then went to Old Town Market, which is one of those grocery stores that specializes in what I call “hippie food” – flaxseed, tofu, hemp, and organic everything. However, they had regular bread, which is what we were after. For the rest of the day we mostly relaxed. After all of the tamales and rich food, we were happy to walk over to Subway for a light dinner. The next day, I walked over to Higher Grounds to pick up breakfast. As happened in 2013, as we departed our favorite hotel, a few colorful hot air balloons filled the clear, ultra-blue sky. 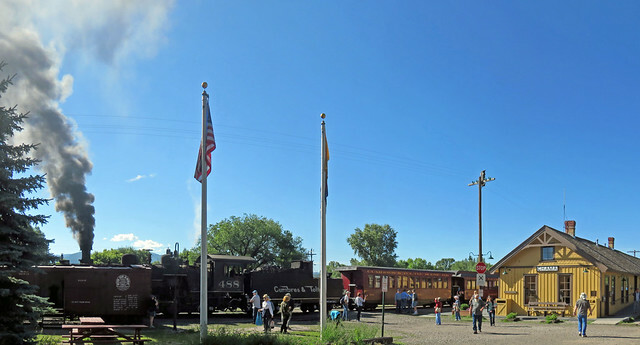 We headed south to ride on the Cumbres & Toltec Scenic Railroad from Chama, New Mexico to Antonito, Colorado. Just like on our previous summer trips, Granger had done some considerate planning, interspersing rest break days between big hike days. I think he is aware that mere mortals can’t keep up with his pace. 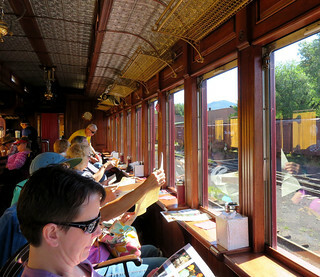 For this 2015 train ride, Granger got us pricey seats in the Parlor Car, with windows that rolled up. We felt like royalty as we were served plates of fresh fruit, muffins, and rum cake, washing them down with soda pop, coffee, and bottled water. The calories piled up, but what the heck? It’s vacation! Speaking of dialects, one of the great things about taking trips out west is meeting people from different parts of the country. On the train ride, we found out that of the ten people on our side of the car, nine were in fields related to public schools. Sitting adjacent to us were two sweet ladies from Virginia: Cindy, a retired speech pathologist, and Annette, a retired elementary teacher, music teacher, and librarian. From Edmond, Oklahoma, there was a very vocal fellow who was a school bus driver who had previously taught special education. From New Mexico, there was a cafeteria manager. From other parts unknown there was a school secretary, a school bus driver, and a special education aide who had previously been a special education teacher. He didn’t mind the drop in pay, as it meant less paperwork. Then from Bartlesville, Oklahoma there was Granger, a Physics teacher, and Wendy, a special education English and History teacher. After all of the introductions, a man piped up and asked, “Any business managers?” Everyone laughed, as he appeared to feel outnumbered. He added, “I’m into sales.” Everyone said almost in unison, “So are we!” We sell education. When the train really got going, everyone’s voices fell to a hush as they gazed out upon the jaw-dropping scenery. My neighbor Cindy and I raved about the rainbow-speckled fields of flowers, while Granger took shots of the mountain vistas. We were in the last car, and a George Takei look-alike spent the whole trip on the open platform just outside the back of our car. He was an elderly gent with white hair and a toned physique, donning a neon yellow track jacket and biker shorts. He must have snapped a thousand pictures, and he never stopped smiling. 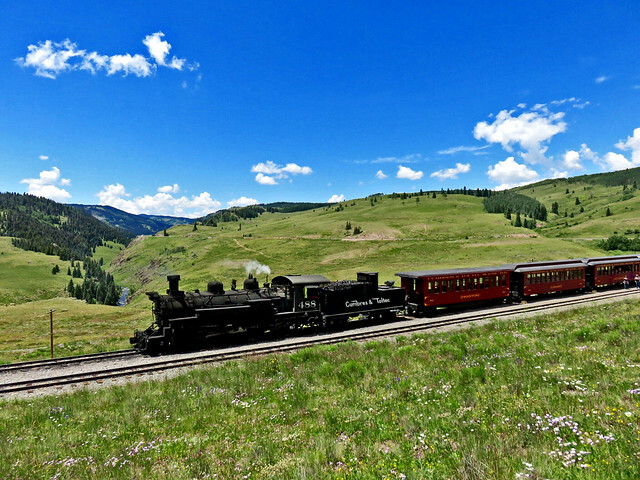 Granger wolfed down his turkey dinner at Osier, our midday stop, and we enjoyed exploring the area, climbing a hill to get shots of the train amidst the scenery. Everyone got kind of serious looking when the tour director for the second half of the ride pointed to a hunk of mountain saying, “Half of that broke and slid off. And that’s just since this morning.” I wasn’t so sure that wasn’t one of those touristy fibs they tell just to increase interest. But as we passed over Toltec Gorge, there was no denying the dizzying height at which we viewed the roaring Rio de Los Pinos, 600 feet below. Everyone stood up at the windows to take pictures. Being afraid of heights, I stayed put. Granger is definitely more of a thrill-seeker than I am. As we rode through a very snug rock tunnel, he was hanging out on the rear platform along with George Takei, snapping photos. I’ll never forget how he grinned ear to ear, mere inches away from the deadly rocky wall. 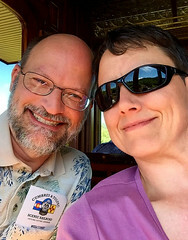 The serpentine rails gave Granger many opportunities to film the train winding around upon itself, and he had fun using his iPhone to create a video of the ride. 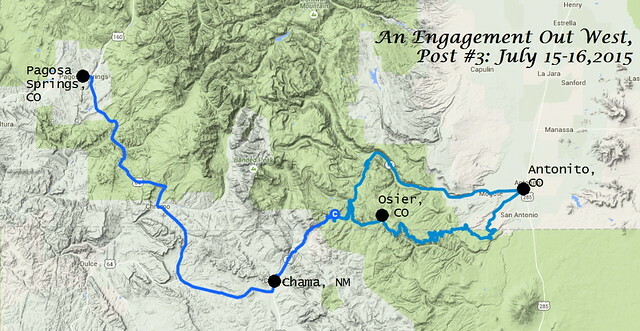 The next day we would take another curvy trip through the mountains to Gunnison. This entry was posted in photos, travel, video, Wendy. Bookmark the permalink.